Healthy growing practices are very important for banishing diseases when it comes to growing tomatoes. Feeding appropriately, preparing soil, and watering the soil properly are essential for preventing tomato diseases. All tomatoes will love draining soil that is filled with huge amounts of organic matter. The roots of the tomato plant will penetrate deep into soil and this is what stabilizes the plant while soaking up water. Once the soil has been well-prepared watering very deeply about every two to four days will ensure that the tomato plant has enough water. This will also ensure that the tomato plant will not have any problems such as getting too much water. A tomato plant should always be watered early in the morning so that the leaves of the plant have time to dry during daytime. The leaves of this plant are an excellent location for disease incubation and not giving the leaves time to properly dry will only worsen the situation. Plants must be pruned so that air can flow freely through branches and leaves which will also help to keep leaves dry. Conducting soil tests and treating the soil according to the results obtained will ensure that your tomato plants are getting the proper nutrition that they need to stay healthy. These practices will give your plants an head start in terms of fighting off pests and diseases. If you follow the cultivation practices correctly and your plants are still having a problem, then it just might be time for a diagnosis. Tomatoes can potentially suffer from any number of fungal, bacterial, and nutritional problems. Damages to tomato plants by pests will cause physical changes that will be readily visible on the plants. A cutworm is a perfect example and it will cut the tomato plant from its roots which will cause the plant to wilt and eventually it will die. Damage caused by aphids will result in very sticky residue on the surface of the plant. Regardless of whether you can see the damage caused by the pests you should be able to see the pests themselves on the plant. Caterpillar will actually bury themselves within the fruit and then they will eat it which will cause rotting. Spider mites as well as whiteflies will be visible on the leaves of the plant. 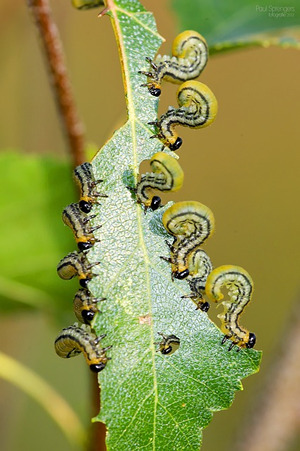 It is much easier to diagnose a pest problem when compared with other problems because most of the time you can observe the pests while they are on the plant. Nutrition problems will normally manifest within multiple areas on the plant. Tomatoes are capable of absorbing minerals, trace elements, and nutrients from the garden soil. If a tomato plant is deficient in any single type of nutrient, the plant will show symptoms for it. Excess nitrogen is known for causing leafy, lush, green plant that have very little fruit. A nitrogen deficiency will cause yellowing on the lower leaves of the plant. A deficiency in calcium will cause blossom end rot which is a very common problem for tomato plants. The calcium deficiency can be described as leathery spots that are yellow that will spread into rotting patches on the blossom side of the fruit that are black in color. The blossom end is the end that is away from the fruit. Nutritional problems can be both soil and seasonal related. A simple soil test will reveal what nutrients are lacking inside of the soil. If a test shows that the soil contains all of the right nutrients, cold and overly wet soil can be factors that will make it much more difficult for the plants to absorb the nutrients. 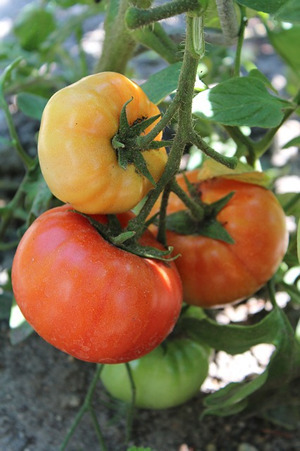 Fungus, bacteria, and viruses can all cause problems and diseases for tomatoes. A cocktail of tiny organisms can cause leaf mosaic problems, mildew, cankers, fruit rot, damping off, leaf spots, and wilts. All of the different problems will show in the tomato plant in their own ways. An example of this would be leaf mosaic viruses that will show up inside of the leaves which cause mosaic-like patterns to form. A canker is a growth on the stem, fruit, or leaves. Root rot is easily diagnosed by checking to see if the leaves are shrivelling up because they are not getting water. Hi, and WELCOME to Grow Great Tomatoes! My name is Chris and I'm passionate about growing my own juicy tasty tomatoes. This site is all about growing the best juicy tomatoes you've ever tasted. I've been growing my own tomatoes – and lots of other vegetables – for 15 years. During that time I've grown tomatoes in containers, in planter beds and even on a windowsill. Copyright © How To Grow Great Tomatoes Expert information and advice. All rights reserved.